Effective energy management is crucial for the success of any business. For many, the answer is an Energy Management System (EnMS) - a framework for the systematic management of energy. As well as enhancing energy efficiency, an EnMS can cut costs, improve profitability, reduce carbon emissions and meet climate change targets providing you with a competitive advantage. 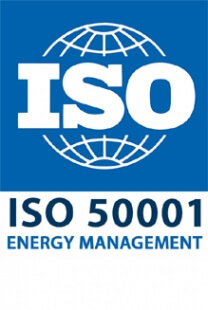 ISO 50001 is the International Standard for Energy Management, released in June 2011 and replacing the British and European Standard BS EN 16001. ISO 50001 represents the latest best practice in energy management for organisations of all sizes based upon existing national standards and initiatives. The standard specifies the requirements for an EnMS to enable your organisation to develop and implement a policy, identify significant areas of energy consumption and target energy reductions.